Buy Insights and Illuminations a Coffee. ko-fi.com/insightsandilluminations - Ko-fi ❤️ Where creators get paid by fans, with a 'Buy Me a Coffee' button. Hello I am Gwen Peterson, mentor of Insights and Illuminations. I support all who are looking for guidance in Spirituality through discussion groups. private sessions and healing meditations. I work closely with the Archangels and Ascended Masters. Secured Payments. 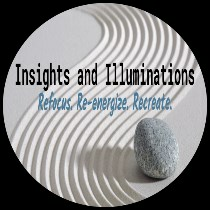 Support goes to Insights and Illuminations's account. Upgrade Insights and Illuminations to a yearly Gold Membership with a one-time payment.